Anais da Academia Brasileira de Ciências, Rio de Janeiro, v. 82, n. 4, p. 1137-1145, Dec. 2010. In: ZAMBOLIM, L.; NASSER, L. C. B.; ANDRIGUETO, J. R.; TEIXEIRA, J. M.; FACHINELLO, J. C. (Org.). Produção integrada no Brasil. Brasília, DF: CNPq; Viçosa, MG: Universidade Federal de Viçosa, 2008. In: JORNADA CIENTÍFICA EMBRAPA MANDIOCA E FRUTICULTURA, 5., 2011, Cruz das Almas. Anais... Cruz das Almas: Embrapa Mandioca e Fruticultura Tropical, 2011. In: REUNIÃO ANUAL DE CIÊNCIA, TECNOLOGIA, INOVAÇÃO E CULTURA NO RECÔNCAVO DA BAHIA - RECITEC RECÔNCAVO. 1., 2011, Cruz das Almas. Anais... Cruz das Almas: Universidade Federal do Recôncavo da Bahia, 2011. 1 CD-ROM. In: CONGRESSO BRASILEIRO DE FRUTICULTURA, 22., 2012, Bento Gonçalves. Anais... Bento Gonçalves: SBF, 2012. In: INTERNATIONAL PLANT NUTRITION COLLOQUIUM 16., 2009, Davis. Proceedings... Davis: University of California, 2009. The ecological benefits of renewable raw materials are clear: they save valuable resources, are environmentally sound and do not cause health problems. Natural fibres have already established a track record in several different areas such as, civil, automobiles, architecture, medicine among others. Numerous investigations are carried out in order to create added value to natural fibre materials such as the stem of the banana tree that are usually discarded in the environment. Curaua, another important natural substrate, is an Amazon-forest plant (Ananas erectifolius) that resembles a pineapple plant. Curaua leaf fibres display a low-production cost and offer a relatively high tensile strength level. Despite these naturals fibres are well established as reinforce in composite materials, the dyeing properties of curaua and banana fibres are not well studied yet. 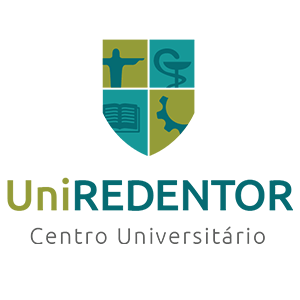 ; This work is supported by Portuguese National Funding, through FCT - Fundação para a Ciência e a Tecnologia, on the framework of project UID/CTM/00264/2013. Bico, S. L. S.; Raposo, M. F.; Morais, R. M. S. C.; Morais, A. M. M. B. The combined effect of chemical dip and/or edible coating and/or controlled atmosphere (CA) on quality of fresh-cut banana was investigated. Banana slices were subject to a 3-min dip into a solution containing 1% (w/v) calcium chloride, 0.75% (w/v) ascorbic acid and 0.75% (w/v) cysteine and/or combined with a carrageenan coating and/or combined with controlled atmosphere (3% O2 + 10% CO2). Physico-chemical and microbiological qualities were evaluated during 5 days of storage at 5 C. Dip combined with CA treatment prevented product weight loss and increase of polyphenol oxidase activity during the 5 days of storage. Colour, firmness, pH, tritatable acidity and total soluble solids values and total phenolic content presented the smallest changes. Microbial analysis showed that minimally processed bananas were within the acceptable limits during 5 days of storage at 5ºC. In the present work, bananas of cvs. Musa nana and Musa Cavendish were dehydrated by hot air drying at 50 ºC and 70 ºC. The purpose of this work was to fit the kinetic data to different thin layer models found in the literature to describe the drying rates of bananas, in order to find out which model better describes the drying kinetics of these two varieties of bananas. The selection of the appropriate drying model was based on their coefficients of determination, which were predicted by non-linear regression analysis using the Sigma Plot program. From the obtained results it was possible to conclude that the drying of both banana varieties had a similar kinetic behaviour, regardless of the operating conditions. As to the influence of the drying temperature on the process, it was observed that increasing the drying temperature from 50 ºC to 70 ºC leads to a diminishing of approximately 34 % and 49 % in the drying time to Musa cavendish and Musa nana, respectively. Furthermore, based on the standard deviation results, as well as on the additional statistical information, the two parameter models such as the Page and modified Page models as well as the Wang & Singh model were the best to describe the drying kinetics of these two kinds of banana varieties. O objetivo do presente estudo foi a determinação das perdas físicas e econômicas de banana em diferentes equipamentos varejistas na Cidade de Botucatu - SP e suas possíveis causas. Os equipamentos foram sorteados aleatoriamente. As informações foram coletadas através da aplicação de questionário para a determinação das perdas de três variedades de banana. O resultado mostrou perda global de 39 toneladas, correspondente a 11,1% da quantidade comercializada, sendo 10,5% em supermercados, 15,0% em quitandas/sacolões e 10,6% em feiras livres. O valor total das perdas anuais atingiu R$ 35.038,00, em valores de maio de 2002. A manipulação excessiva do cliente, excedente de oferta, uso de embalagem inadequada e baixa qualidade da fruta foram as principais causas de perdas. Conclui-se pela necessidade de conscientização do cliente, do uso de embalagens plásticas e de cuidados no manuseio da fruta durante toda pós-colheita. The present work analyzes the behavior of banana explants, cv. Nanicão (Musa spp. Group AAA) regarding somatic embryogenesis induction treatments with several auxins. Longitudinal segments of shoot meristematic apices of micropropagated banana plantlets cultivated and rooted in vitro were introduced in culture medium containing dicamba, picloram, 2,4-D or NAA in different concentrations. Explant samples were collected at 0, 7 and 10 days and prepared for light microscopy. Histological sections were used for comparison of the histological changes occurring after induction treatment with different auxins. Embryogenic response was observed only in treatments with picloram or dicamba, with distinct embryogenic regions observed at 14 and 21 days in culture, respectively. Histological sections of embryogenic regions of the explant at 26 days in culture revealed the formation of meristematic regions, structures with multiple root meristems, and somatic embryos at early globular stages. Embryo-like structures morphologically similar to Musa balbisiana zygotic embryos were sectioned and showed a lack of apical meristems and absence of procambial differentiation. These results indicate the induction of non-functional somatic embryos and the need for more studies on developmental aspects and maturation treatments for optimization of the process. CARDOSO,Marisa H.; JACKIX,Marisa N.H.; MENEZES,Hilary C.; GONÇALVES,Elisabeth B.; MARQUES,Simone V.B. 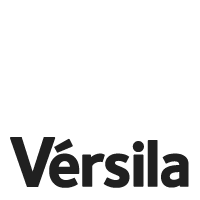 O efeito do tratamento em que se associou as enzimas comerciais: 0,03 % v/p de pectinase (Clarex) a 0,6 % v/p de invertase (Invertase-S) e 0,5 % p/p de glicose-isomerase (Taka-sweet) sobre purê de banana (Musa cavendishii), em condições amenas de hidrólise (40o C, 15 min.) foi observado e comparado com o efeito de outros três tratamentos enzimáticos: 0,03 % v/p de pectinase (Clarex); 0,03 % v/p de pectinase (Clarex) associada à 0,6 % v/p de invertase (Invertase-S); e 0,03 % v/p de pectinase (Sigma) associada a 0,03 % v/p de celulase (Sigma), visando determinar a qualidade representada por um conjunto de propriedades físicas, fisico-químicas, químicas, microbiológicas e sensoriais dos sucos de banana obtidos. Essas propriedades não diferiram significativamente em função das pectinases e celulase empregadas. A adição de invertase provocou aumento de doçura e diminuição da viscosidade do suco. Por outro lado, a adição de glicose isomerase ao suco invertido não foi capaz de aumentar significativamente o teor de frutose. The objective of this study is to develop expanded composites of poly(ethylene-co-vinyl acetate) (EVA) filled with two vegetable reinforcements (banana fiber or wood flour) as well as to evaluate the influence of the type, size and concentration of these reinforcements on the cell growth and their morphological, mechanical, thermal and physical properties. The results indicated that the natural fibers act as nucleating agents and affect the cells stability during the formation of the cellular structure in the expanded composites. The mechanical properties of the expanded composites are directly related to the composite expansion degree. Comparative results of the use of vegetable residues indicate that wood flour reinforcement provides more homogeneous cells, while banana fibers restrict the expandability of the composite and its density. Various process parameters for the production of polygalacturonase by Streptomyces lydicus under solid-state fermentation were optimized. The optimum particle size of wheat bran for polygalacturonase production was in the range of 500-1000 µm. Initial moisture content of 70% was found to be the optimum for enzyme production. The most suitable inoculum size was 1.25 x 10(5) CFU/mL and the optimum incubation temperature was 30ºC. Addition of carbon sources resulted in 37% increase in enzyme yield (425 U/g), whereas no significant enhancement was obtained on nitrogen supplementation. Maximum enzyme yield was recorded at 72 h. When compared to the initial production medium (108.5 U/g), the enzyme yield was 3.9 fold after optimization. Solid-state fermentation was effectively employed to develop a novel process for the simultaneous extraction and degumming of banana fibers. Streptomyces lydicus was allowed to grow on wheat bran medium in which banana leaf sheath pieces were incorporated and the fiber bundles were separated after a two-step fermentative process. Aguilar-Barragan,Alejandra; García-Torres,Ana Elisa; Odriozola-Casas,Olga; Macedo-Raygoza,Gloria; Ogura,Tetsuya; Manzo-Sánchez,Gilberto; James,Andrew C.; Islas-Flores,Ignacio; Beltrán-García,Miguel J.
Filamentous fungi are considered to be the most important group of microorganisms for the production of plant cell wall degrading enzymes (CWDE), in solid state fermentations. In this study, two fungal strains Aspergillus niger MS23 and Aspergillus terreus MS105 were screened for plant CWDE such as amylase, pectinase, xylanase and cellulases (β-glucosidase, endoglucanase and filterpaperase) using a novel substrate, Banana Peels (BP) for SSF process. This is the first study, to the best of our knowledge, to use BP as SSF substrate for plant CWDE production by co-culture of fungal strains. The titers of pectinase were significantly improved in co-culture compared to mono-culture. Furthermore, the enzyme preparations obtained from monoculture and co-culture were used to study the hydrolysis of BP along with some crude and purified substrates. It was observed that the enzymatic hydrolysis of different crude and purified substrates accomplished after 26 h of incubation, where pectin was maximally hydrolyzed by the enzyme preparations of mono and co-culture. Along with purified substrates, crude materials were also proved to be efficiently degraded by the cocktail of the CWDE. These results demonstrated that banana peels may be a potential substrate in solid-state fermentation for the production of plant cell wall degrading enzymes to be used for improving various biotechnological and industrial processes. Efficiency of boron application in an Oxisol cultivated with banana in the Central Amazon. MOREIRA, A.; CASTRO, C. de; FAGERIA, N. K.
Fonte: Anais da Academia Brasileira de Ciências, Rio de Janeiro, v. 82, n. 4, p. 1137-1145, Dec. 2010. Publicador: Anais da Academia Brasileira de Ciências, Rio de Janeiro, v. 82, n. 4, p. 1137-1145, Dec. 2010. Alternativas para o manejo integrado de pragas e doenças na cultura da banana no Submédio do Vale do São Francisco. MOREIRA, A. N.; CONCEIÇÃO, J. L. A.; MOURA, M. D. da C. S. de; PEREZ, J. O.; SILVA, M. M. da; NASCIMENTO, E. F. do; GAVA, C. A. T.
Fonte: In: ZAMBOLIM, L.; NASSER, L. C. B.; ANDRIGUETO, J. R.; TEIXEIRA, J. M.; FACHINELLO, J. C. (Org.). Produção integrada no Brasil. Brasília, DF: CNPq; Viçosa, MG: Universidade Federal de Viçosa, 2008. Publicador: In: ZAMBOLIM, L.; NASSER, L. C. B.; ANDRIGUETO, J. R.; TEIXEIRA, J. M.; FACHINELLO, J. C. (Org.). Produção integrada no Brasil. Brasília, DF: CNPq; Viçosa, MG: Universidade Federal de Viçosa, 2008. Banco de germoplasma in vitro de banana. SIMÕES, K. da S.; SEREJO, J. A. dos S.
Fonte: In: JORNADA CIENTÍFICA EMBRAPA MANDIOCA E FRUTICULTURA, 5., 2011, Cruz das Almas. Anais... Cruz das Almas: Embrapa Mandioca e Fruticultura Tropical, 2011. Publicador: In: JORNADA CIENTÍFICA EMBRAPA MANDIOCA E FRUTICULTURA, 5., 2011, Cruz das Almas. Anais... Cruz das Almas: Embrapa Mandioca e Fruticultura Tropical, 2011. Tipo: Resumo em anais de congresso (ALICE) Formato: 1 CD-ROM. ; 1 p.
O estabelecimento de bancos de germoplasma é fundamental para a preservação da variabilidade genética de um gênero e para possibilitar seu uso em programas de melhoramento genético e outras aplicações no futuro. A Embrapa Mandioca e Fruticultura mantém um banco de germoplasma de banana (BAG banana) com cerca de 300 acessos, em condições de campo; 2011; PDF. 123_11. Banco de Germoplasma (BAG) in vitro de banana. SIMÕES, K. da S.; SEREJO, J. A. dos S.; CARVALHO, H. L.
Fonte: In: REUNIÃO ANUAL DE CIÊNCIA, TECNOLOGIA, INOVAÇÃO E CULTURA NO RECÔNCAVO DA BAHIA - RECITEC RECÔNCAVO. 1., 2011, Cruz das Almas. Anais... Cruz das Almas: Universidade Federal do Recôncavo da Bahia, 2011. 1 CD-ROM. Publicador: In: REUNIÃO ANUAL DE CIÊNCIA, TECNOLOGIA, INOVAÇÃO E CULTURA NO RECÔNCAVO DA BAHIA - RECITEC RECÔNCAVO. 1., 2011, Cruz das Almas. Anais... Cruz das Almas: Universidade Federal do Recôncavo da Bahia, 2011. 1 CD-ROM. Tipo: Resumo em anais de congresso (ALICE) Formato: 2 p.
O estabelecimento de bancos de germoplasma é fundamental para a preservação da variabilidade genética de um gênero e para possibilitar seu uso em programas de melhoramento genético e outras aplicações no futuro. A Embrapa Mandioca e Fruticultura mantêm um banco de germoplasma de banana (BAG banana) com cerca de 300 acessos, em condições de campo. ; 2011; Em paralelo aconteceram também os seguintes eventos: V Seminário de Pesquisa do Recôncavo da Bahia; V Seminário Estudantil de Pesquisa da UFRB; V Seminário da Pós-Graduação da UFRB; II Seminário Regional de Pesquisa da EBDA; 5ª Jornada Científica da Embrapa Mandioca e Fruticultura; VIII Seminário Estudantil de Pesquisa e Extensão da FAMAM; Semana de Ciência, Tecnologia e Inovação no Agronegócio; Fórum de Gestores de Iniciação Científica e Tecnológica da Bahia; II Simpósio Baiano de Defesa Agropecuária; I Semana de Educação Tutorial da UFRB. Tropical: banana tipo maçã e seu potencial de cultivo no Sul de Santa Catarina. SÔNEGO, M.; LICHTEMBERG, L. A.; AMORIM, E. P.
Fonte: In: CONGRESSO BRASILEIRO DE FRUTICULTURA, 22., 2012, Bento Gonçalves. Anais... Bento Gonçalves: SBF, 2012. Publicador: In: CONGRESSO BRASILEIRO DE FRUTICULTURA, 22., 2012, Bento Gonçalves. Anais... Bento Gonçalves: SBF, 2012. Yield, foliar concentration, and efficiency of extractant solutions with boron application in a Xanthic Ferralsol cultivated with banana in Central Amazon. Fonte: In: INTERNATIONAL PLANT NUTRITION COLLOQUIUM 16., 2009, Davis. Proceedings... Davis: University of California, 2009. Publicador: In: INTERNATIONAL PLANT NUTRITION COLLOQUIUM 16., 2009, Davis. Proceedings... Davis: University of California, 2009. Tipo: Artigo em anais de congresso (ALICE) Formato: 9 p.
Boron is known to play important role in the structure of cell wall, membranes, and membrane-associated functions in plants. In soil, the hot water B extraction method has been extensively used, however, difficulties with this procedure result in low accuracy and precision of extraction of available boron (B) in soil. The objective of this study was to evaluate the Yield, foliar concentration, and efficiency of B extracting solutions and the effect of B fertilization on B uptake in banana leaves and fruits, subgroup Cavendish (AAA), cultivated in a Xanthic Ferralsol (dystrophic Yellow Latosol), in the Amazonas State, Brazil. The experimental design was a completely randomized split plot, comprising four boron rates (0, 4, 8, and 12 kg ha-1), and two harvest cycles (subtreatments), with four replicates. Available boron was determined with seven extractant solutions: Mehlich 1, Mehlich 3, hot water, HCl 0.05 mol L-1, HCl 0.1 mol L-1, HCl 5.0 mol L-1 and KCl 1.0 mol L-1. The application of B fertilizer increased the yield and concentration of B in leaves and fruits. Hot water and KCl 1.0 mol L-1 were the most efficient extracting solutions for the determination of available B in soil. The application of 3.4 kg B ha-1 in first cycle and 1.3 kg B ha-1 in second cycle guarantees an adequate nutritional status in banana plants. ; 2009; Paper 1054.